Of all the books of the Jewish Bible, Genesis is the best known. The most obvious reason for this is simply that it comes first, so that few well-intentioned readers will have given up quite so early. Then, too, given its narrative character and the excitement of its stories, it is much easier for the casual reader to get through than, say, Leviticus or Chronicles. Less well known, though, is how the book came to be written—the subject of unending and sometimes acrimonious controversy over the past three centuries—and the myriad ways in which it has been interpreted through the ages. Those who have devoted their labors to understanding Genesis include Jews and Christians, believers and secularists (even debunkers), historians, theologians, literary scholars, painters, poets, novelists, authors of other scriptural compositions and more. Hendel deftly shows why modern scholars regard Genesis itself as a “palimpsest, composed of different sources and texts, from different times and with different philosophies”—quite a change from the pre-modern consensus and a formidable challenge to it. He briefly deals with the oldest component in the book, the poem about the tribes of Israel in Genesis 49, which fits nicely with other pieces of archaic poetry in the Bible but less well with the prose narrative in the rest of Genesis. Then he treats the hypothetical antecedent documents that scholars designate with the symbols J, E and P, showing why, in his view (which not every critical scholar shares nowadays), the Documentary Hypothesis makes sense and how these sources treat the same subjects with noteworthy differences. In the story of Noah’s flood, for example, J depicts “a God who is subject to strong emotions…heartbroken that his prize creations—humans—have gone wrong,” while P “portrays a God without emotion or regret…a transcendent deity who sees the cosmos as a whole and who is not focused on the human heart.” Hendel wisely notes what a documentary analysis can too easily miss: that the redactors’ combination of their sources yields a subtle product that is larger than the sum of its parts. In the 17th century, Spinoza dismissed all belief in divine revelation and demanded that scripture be interpreted by reason alone, thus advancing the possibility that an authentically biblical teaching may be false. Meanwhile, astronomers were destroying the geocentric model of the universe, geologists would soon be showing that the earth was vastly older than biblical chronology allows, and biologists would undermine the account of the origin of living species in Genesis 1. The backlash of fundamentalists in the 20th century, with their uncompromising insistence on biblical inerrancy, failed to halt the marginalization of the scriptures. As Hendel sees the matter, once its religious message had been discredited, the Bible found a new home among creative artists. Emily Dickinson, for example, who “read the book of Genesis as a collection of fictions,” still “perceives its literary capacity for truth.” Hers was a truth that reflected a complicated (but characteristically modern) “post-traditional sensibility, which nonetheless retains the religious capacity of transformation.” Hendel gives sensitive, concise readings of works of Dickinson and Franz Kafka and touches informatively on the role of Genesis in the debates over slavery and women’s rights in the 19th century, as well. Yet his handling of modernity reveals a contradiction, or at least a serious weakness, in the overall argument. 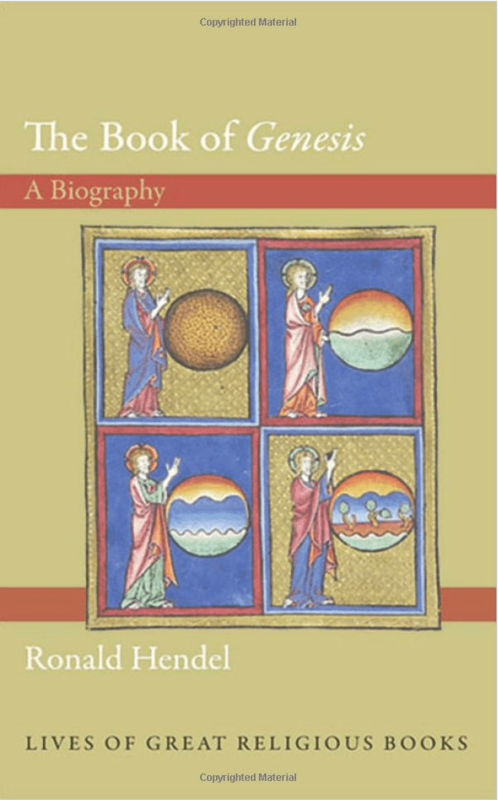 On the one hand, Hendel seeks to appreciate the afterlife of Genesis, for it “transforms, renews, and extends” the book. On the other hand, he describes the traditional interpretive methods of Judaism and Christianity as very often “false, or based on faulty premises.” In answer to the obvious question, “why not simply give it an honorable burial?” he alludes to “the importance of error in human life.” For “people and cultures need illusions in order to live fully, to flourish,” he claims, and “the afterlife of Genesis . . . mostly consists of such creative illusions.” It is, however, very difficult to see how we can live fully and flourish on the basis of what we now know to be errors and illusions. Do we not have a bounden duty to replace the false with the true? Does truth not give us a fuller, richer life than error ever could? And just how are we to arrive at that error-free interpretation of Genesis anyway? For Hendel, the truth comes from considering the book in isolation from the rest of the Bible and from the Jewish and Christian traditions that have given it its afterlife. But the fact that it can be read apart from these larger contexts is no argument that it ought to be or that interpreting it only according to its ancient authors’ intentions yields the best reading. Indeed, the very question of authorial intention is enormously complicated when the text has many authors, has been repeatedly redacted, and now forms an integral part of a completed set of books to which many more authors and redactors have contributed. Considering Genesis in isolation inevitably impedes our understanding of the importance of the scriptural canon by which it comes to us. In the background of Hendel’s notion of erroneous interpretation, it is not difficult to hear the polemics of the Protestant Reformation in favor of scripture alone apart from tradition—except without the theological commitments that prevented the Reformers from relegating the Bible and its God to a vanished past. The classical medieval Jewish commentators, by contrast, could believe that scripture presents a plurality of senses, with different senses speaking to different purposes. Hendel sees the decline of this interpretive pluralism as a victory for rationality and realism, but might it not be better viewed as an impoverishment of the interpretive imagination? In fact, interpretive pluralism has never been lost, and today the prime example of it, rabbinic commentary, commands increasing respect from Jews and Gentiles, secular and religious, alike. The same thing can be said about the biblical interpretation of the ancient rabbis’ Christian contemporaries, the Church Fathers. In the post-modern era in which we live, it is the advocates of single-sense exegesis who are now on the defensive, and rightly so, in my opinion. Ronald Hendel leaves the impression that nowadays the book of Genesis can be handled credibly only by artists, activists, and antiquarians. A fuller study would have to take account of its role in modern Jewish and Christian religious thought, where those who have pondered themes central to Genesis—creation, election, promise and the baffling workings of providence, for example—have made rich and productive use of the book. It would also have to take account of the fact that throughout the world, Genesis is read and expounded in synagogues and churches by and to educated, scientifically literate people. On the question of how we are to understand that important reality, The Book of Genesis: A Biography, illuminating on so many other things, needed to say more. Jon D. Levenson is professor of Jewish Studies at Harvard University and the author, most recently, of Inheriting Abraham: The Legacy of the Patriarch in Judaism, Christianity, and Islam. To read Ron Hendel’s response to Levenson’s review—and Levenson’s response to Hendel—click here. Yeah, I know. I really have to be more careful at four-way “Stop” signs than I used to.